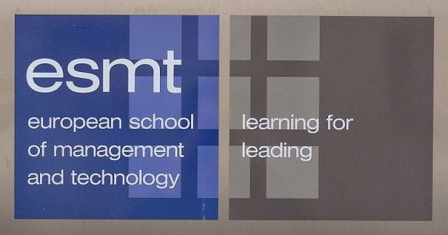 Europe School of Management and Technology (ESMT) is accepting applications for its Full-time MBA program and its Executive MBA program. To complement process, the school is offering several merit-based full MBA scholarships to applicants from Least Developed Countries. Selection Criteria: Scholarships will be allocated on the basis of intellectual excellence, evidence of personal and professional achievement and financial need. Candidates are expected to prove their strong intention to promote business development and pursue professional options in a least developed country within a reasonable timeframe after completion of the program. The scholarships are restricted to self-funded candidates and will be accounted for against the applicant’s program fees. Applicants must meet ESMT’s general admission requirements. Candidates are required to submit a scholarship essay along with their complete application to the ESMT Full-time MBA program. Candidates will be expected to actively promote the school in the respective regions throughout and after their studies, e.g. by participating in the ESMT mentoring program. Now that all the information about Fully-Funded Scholarships for MBA and Executive MBA Program at the Europe School of Management and Technology has been delivered nicely; talented students who are eager to pursue their Free Tuition/Scholarships/Study in Germany for Bachelors, Postgraduate, Masters, PhD, Associate Degree and Other Degrees, can apply now.